We undertake a range of different boiler installations on all makes and model, whether gas, LPG or oil. We provide a complete sizing and specification service to provide the excellent source of hot water that will fill your needs and be energy efficient to today’s standards. New boiler installation from £1200. Our engineers are Gas Safe registered and completely certified to install all kinds of central heating systems. Our on-site survey visit is a free of charge service that enables us to deal with you, in your home, understanding your particular requirements for heating and hot water systems. Using our expertise and experience we can then specify the very best possible alternatives open to you for consideration. All boiler installations are notified to Gas Safe in accordance with current practices, giving you the comfort that your appliance has actually been installed by a qualified, authorized engineer to the manufacture’s instructions and to the most up-to-date regulations standard. We are combi and system boiler installations specialists– our gas engineers will dispose and remove all of your old gas heating system parts including tanks, boilers, pipework, radiators any other rubbish when you get any type of new heating installation. We employ the most up-to-date machines and technologies to perform a comprehensive and thorough central heating power flush that protects your gas boiler and maintain it’s manufacture’s warranty. If you want to learn more or discuss your needs, then call Cenultra for boiler installations in London on 0207 127 5128. We are happy to give you more detail and arrange a totally free no obligation quotation. New Combi boiler installation from £ 1250. New System boiler installation from £1485. We are reliable and provide affordable boiler installation services. Our engineer provides high-quality gas boiler installations in London and the surrounding areas. With a knowledgeable group of domestic gas engineers, you can depend on Plumbing & Gas Solutions to supply you with a central heating boiler installation that is trusted and safe. All of our engineers at Cenultra Boiler Installations are Gas Safe Registered and extremely experienced. They can therefore provide the best information when selecting which boiler is most suitable for you. We understand how significant it is for a boiler installation to provide you with the very best possible energy efficiency. We have been offering oil and gas boiler installations for years so when you pick us to install your brand new boiler you can rest assured that you will be getting a second to none service. It is because of our high-quality workmanship that our track record has actually grown and continues to grow, in addition to our customers. We put in all our energies into making your gas boiler installation simple and quick. Don’t stress over your daily activities being interrupted as we work quite discreetly. We cover all the surrounding surfaces and no mess will remain as soon as we are finished. The materials ordered for the installation are dropped off ahead of time, giving our installers a jump start. A combi (Combination) boiler links your gas heating and hot water in one simple solution. Rather than having one gas boiler to heat water for your radiators and install a separate water cylinder to heat the water for bathing, a combi boiler explains things by using one heat source for both. A system boiler is the term for a heat only boiler. System boilers are a type of condensing boiler which occupy the medium ground between combi boilers and the regular boilers. The condensing boiler installation service is not that complicated now that the technology has been improved; however best effectiveness is only reached if the homeowner understands the best ways to use it. All brand-new gas boilers are condensing, which means that the boiler captures and re-uses a few of the heat that would leave from the flue of a non-condensing boiler. This makes them the most energy efficient boilers you can buy. Replacing an old ineffective boiler with a new condensing boiler will show considerable cost savings on your gas bills, makings it the best value boiler you can purchase. It will also help you to live a greener life by cutting your carbon footprint. Conventional Boilers are one of the most regularly fitted boiler types in England. Cenultra specialises in assessing your home’s requirements and selecting the right Combi Boiler for the job. A conventional boiler is frequently called a regular or heat-only boiler. Therefore, know that they all imply the same way so do not get puzzled if individuals separate them in different kinds: it’s the same! This particular kind of boiler is considered as the primary heating system in buildings having a central heating process. The water heated up by a traditional boiler is then stored in a separate water cylinder to keep it warm until it is used in the house. For that reason, with this process, you need two water cylinders: one to supply cold water to be heated and one to store the warm water when it is ready to be provided to the house. A recent change in legislation needs that all brand-new gas installations are listed with the regional authorities. This is vital for when the time comes to sell the property or if you prepare to let it out. It is worth noting that not all gas engineers (even those that are Gas Safe registered) are certified making the required notification. Gas boilers are common options for a gas central heating and the boiler installation professionals in our company are reliable and certified to deal with essentially any job. It is essential that gas boiler installation jobs are carried out by Gas Safe registered engineers like the ones in our company. These are licensed gas boiler installers who have passed a test and have been certified to work safely with gas and manage installations. A brand new gas boiler installation can be quite an investment and although a lot of our customers are in the fortunate place to have access to complete funds, it worth thinking about that there are grants available that might help to the cost of your brand new boiler. In some cases, it worth fixing an existing boiler rather than acquiring the additional cost of new boiler installations. You can depend on receiving a free and honest assessment from your skilled Cenultra engineer, who will assist you on the very best course of action for your situation. Additionally, both our work and the boilers we install are guaranteed, so you can rest assured you will continuously receive the highest standard of new boiler installation service from Cenultra. We install gas boilers and water heaters as much as 70kW including for: conventional boilers, system boilers, combi boilers and hot water heater. Please book your totally free no obligation quote for a brand new boiler installation by contacting us through contact section on this website. 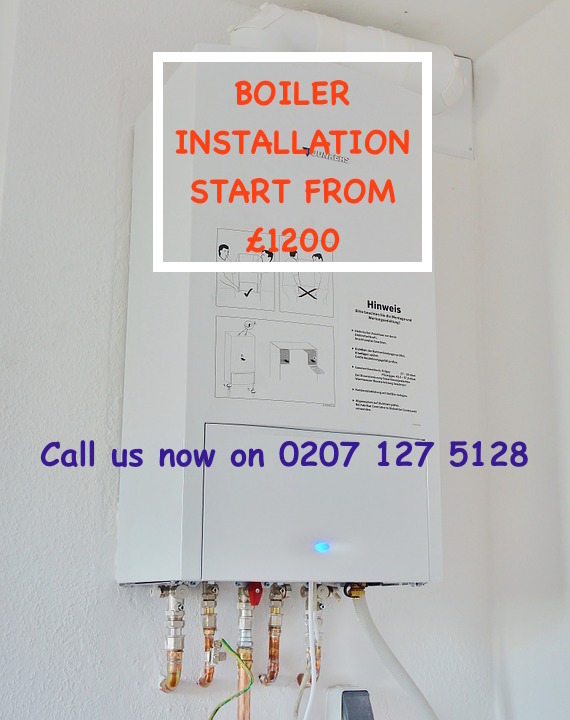 Whatever your gas boiler installation needs we can help you so why not call us today on 0207 127 5128 to arrange a no obligation quote.